The Covington Catholic Story Nearly Ruined Kids' Lives. It Was Fake News at Its Worst. The Covington Catholic Story Nearly Ruined Kids’ Lives. It Was Fake News at Its Worst. Only among the most deranged partisans could a universal sports ritual, a common high school activity, a typical teen face, and patriotic headgear be construed as evil symbols of patriarchal oppression. Nobody loses their marbles when black NBA stars make the universal “OK” gesture with one hand. Or two. Or when the elite athletes hold up the sign to the sky, turn two of them into triumphant eye goggles, stir the pot, sweep the floor, or dramatically holster their finger-trios like weapons. But when reputation-destroying agitators plundered the photo collection of the Covington Catholic High School basketball team in search of evidence to bolster their prefabricated narrative that the white Kentucky boys must, must, must be unrepentant bigots, the three-point celebration transmogrified into menacing proof of racism. 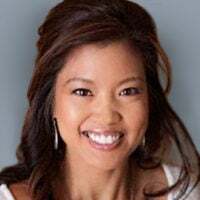 Liberal pot-stirrers tweeted celebrities and journalists an image purporting to show that the Covington kids—still under siege after being slandered last week at the March for Life rally by Native American agitator Nathan Phillips—had flashed white supremacy signs. The teens were pictured on the sidelines of a basketball court in their uniforms, paying tribute to a teammate who had just scored. This is the All White hand sign. This is Covington Catholic school. Is this what they teach at this Catholic school? Is this how Jesus wanted it? In truth, internet trolls had ripped a screenshot from the team’s video montage of pep rallies—where students had dressed up as nerds, businessmen, and Hawaiians or painted themselves blue, white, and (gasp!) black at various competitions. But the media manufacturers of racism won’t stop because the ideological incentives to convict first and verify later are far too strong. Time after time, liberals see racism where it doesn’t exist, fabricate it when they can’t find it, and ignore it within their own ranks. They didn’t stop after attacking my Catholic high school alma mater, Holy Spirit High School in Absecon, New Jersey, four years ago, when a decades-old tradition of basketball fans dressing up in goofy costumes was falsely portrayed by USA Today as racism because students wore monkey pajamas and a giant banana (others wore a green ballerina tutu, a bumblebee suit, a jack-o’-lantern outfit and “Wizard of Oz” get-ups). The Covington hoax is more than just the epitome of fake news. It’s a cultural Rorschach test that measures the impact of Trump-hating confirmation bias on the viewer’s intellectual honesty and emotional stability. 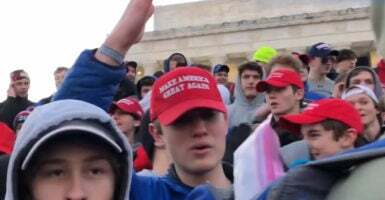 Those calling to protest, dox, stalk, or kill the MAGA hat-wearing Covington kids and their families over a selectively edited video planted by a foreign instigator prove, once again, that political correctness is a pathological disorder.